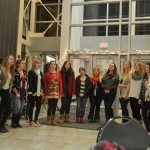 Snapped @ St.Rose: Holiday Edition! 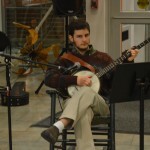 Multi-talented student, Dan Frank, plays holiday songs on his banjo during the Celebration of the Seasons. The Girls Next Door perform a few holiday songs along with some of their classic pieces at the Celebration of the Seasons. 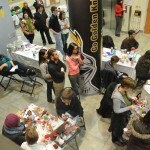 Students participate in various activities including craft making, cookie decorating and a hot chocolate bar at the Celebration of the Seasons. 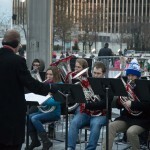 Members of the Albany branch Tuba Christmas, coordinated by Saint Rose Student Daniel Donovan, perform at the annual Tree Lighting at the Empire State Plaza. 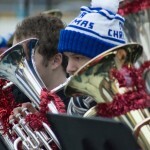 Saint Rose student, Jacob Barkman, performing alongside other members of Tuba Christmas. 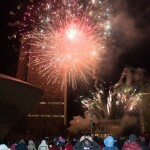 A fantastic firework display over the Empire State Plaza after the Holiday Tree Lighting. 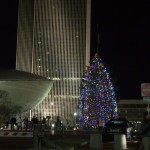 The Annual Holiday Tree adds a bit of holiday spirit to the Empire State Plaza. 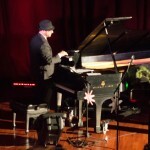 Peanuts Gallery pianist ‘bangs out’ Jingle Bells in the style of Schroeder at the annual “It’s A Jazzy Christmas” concert. ← Tales from the Archives: What does an archivist do?